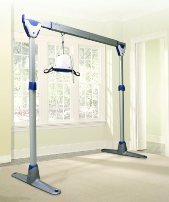 At 12lb/(5.45kg) the Voyager portable track lift is the lightest lift in the market. Not only it is easy to carry and store, but with a lifting capacity of 440lb /(200kg) it's in a class of its own. The 24-volt battery pack can be recharged in less than 2 hours. It comes with a unique feature called the "Quick Releaser". 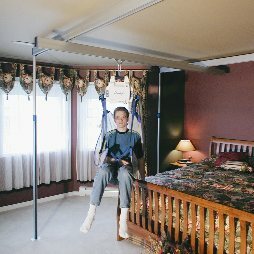 Combine with our reacher it becomes a user-friendly option which swiftly disengages the strap for easy, safe and quick suspension and removal of the lift.